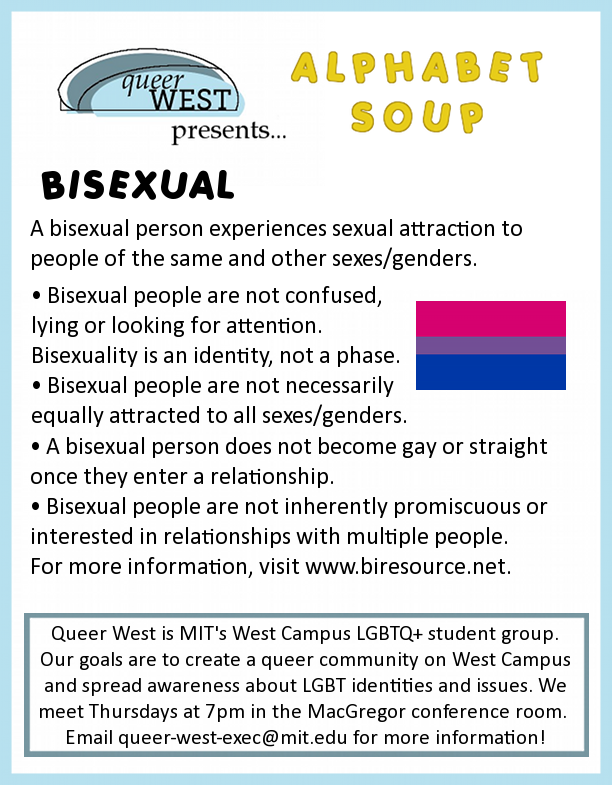 Welcome to the website of Queer West - one of MIT's LGBTQ+ student groups! 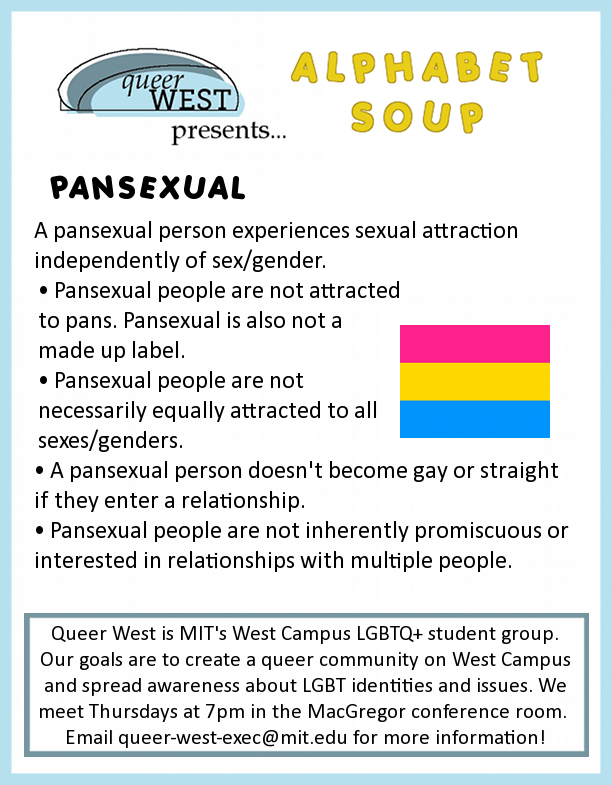 Queer West was founded in the spring of 2014 in order to make West Campus a more educated and welcoming place for queer students to live. 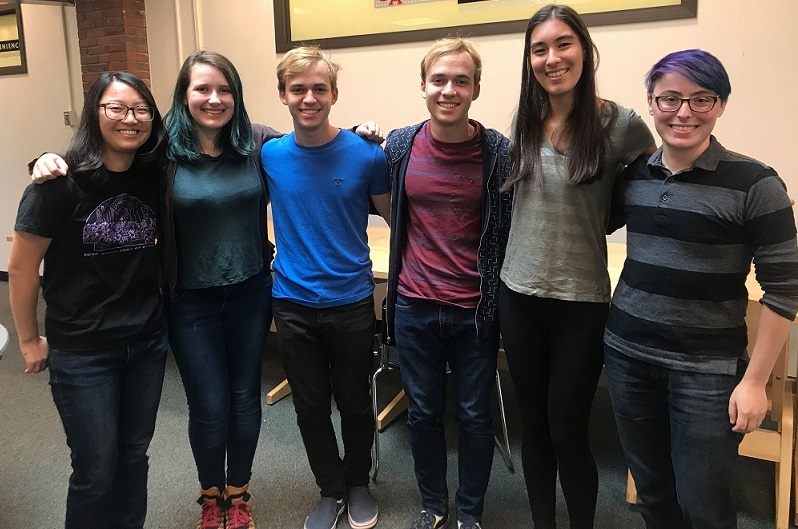 We frequently hold social events and educational campaigns in order to create a friendly, welcoming community for queer students on West Campus. 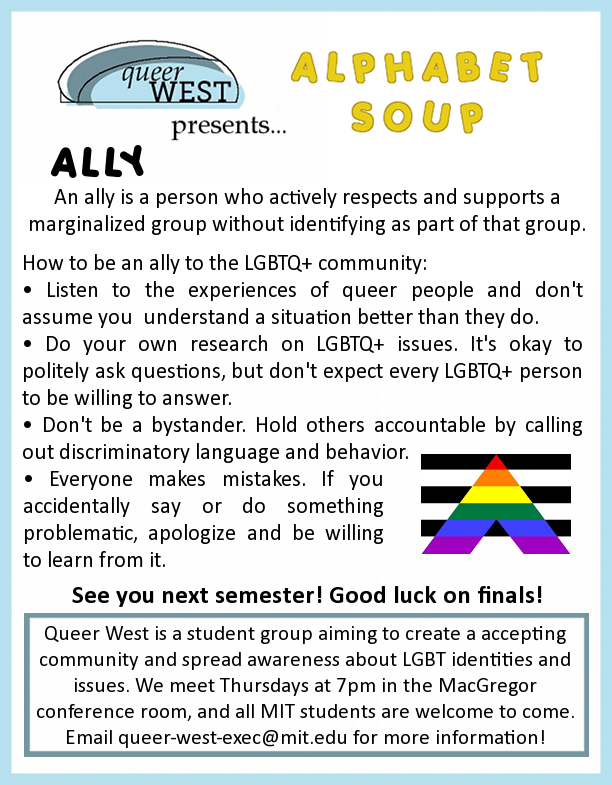 The name of our group is Queer West, but that just means that our events are held on West Campus. 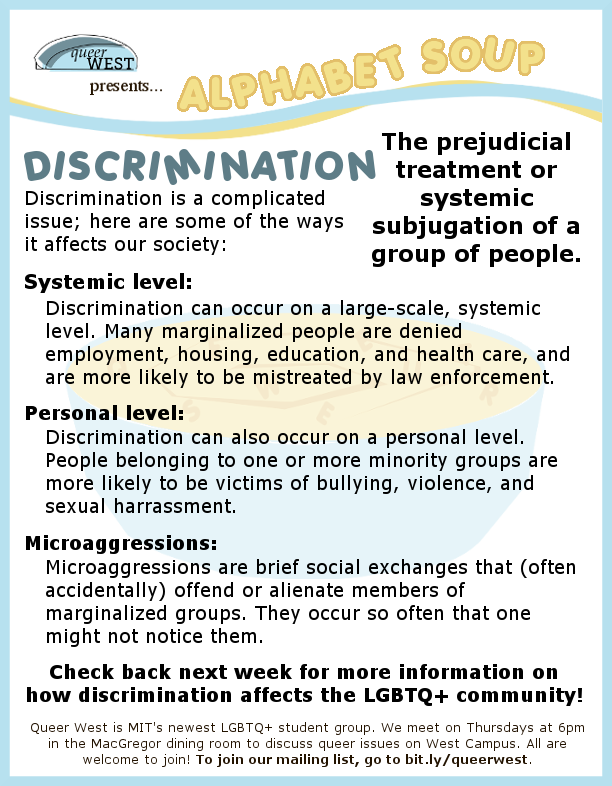 All MIT students are welcome to come to our meetings and events! 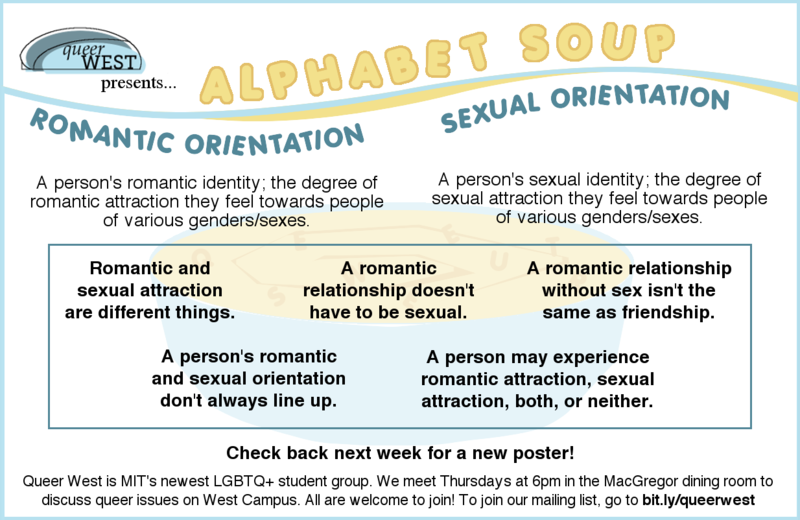 Click the blue plus button ("+") in the lower right-hand corner to add the Queer West events calendar to your Google Calendar! 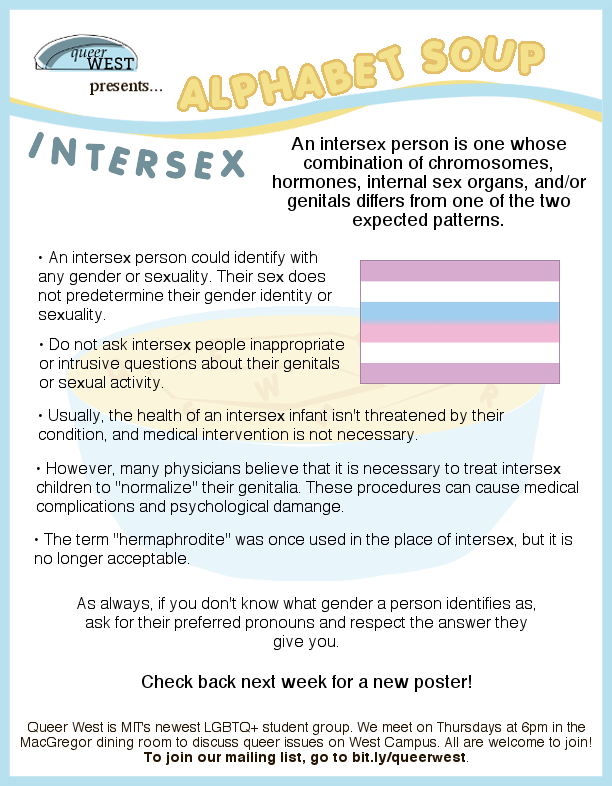 To be added to the Queer West mailing list, please enter your Kerberos and hit submit. 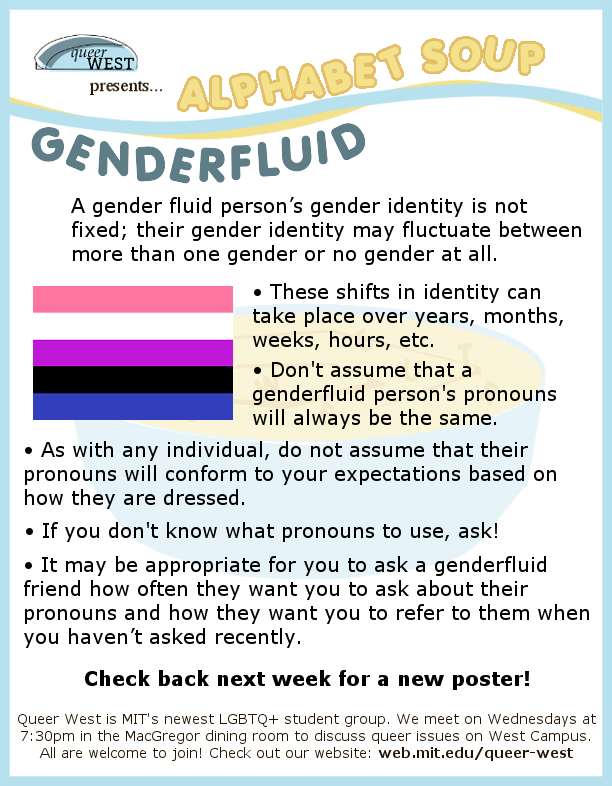 The current Queer West president will be notified of your request and will add you shortly. 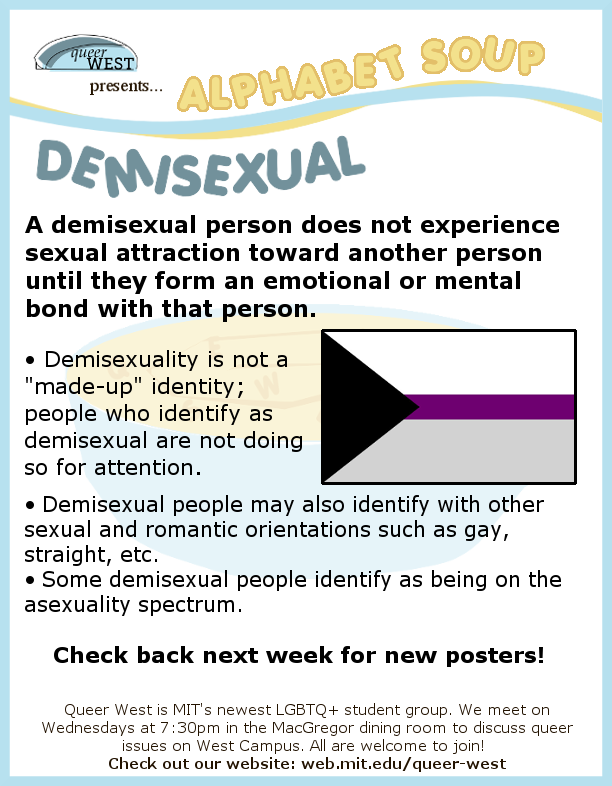 The only person who has access to the mailing list is the president of Queer West. 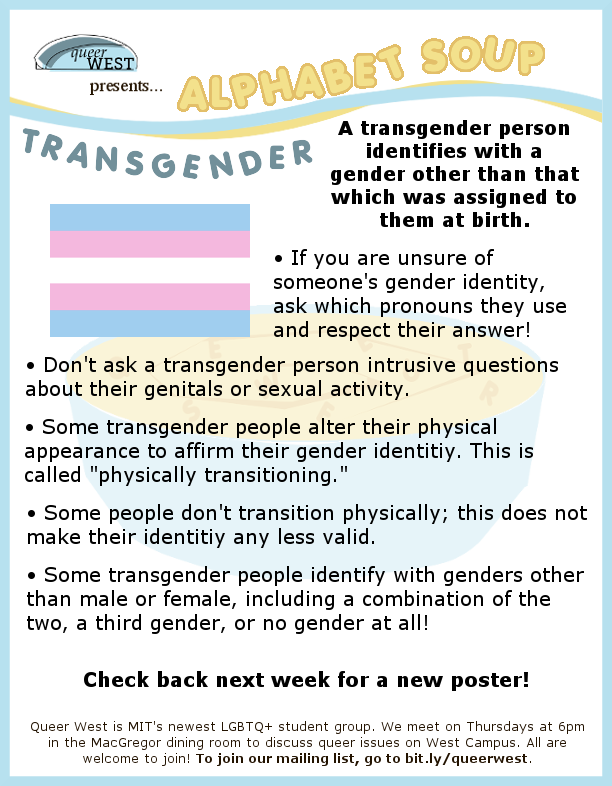 Your membership in the group will be kept confidential. 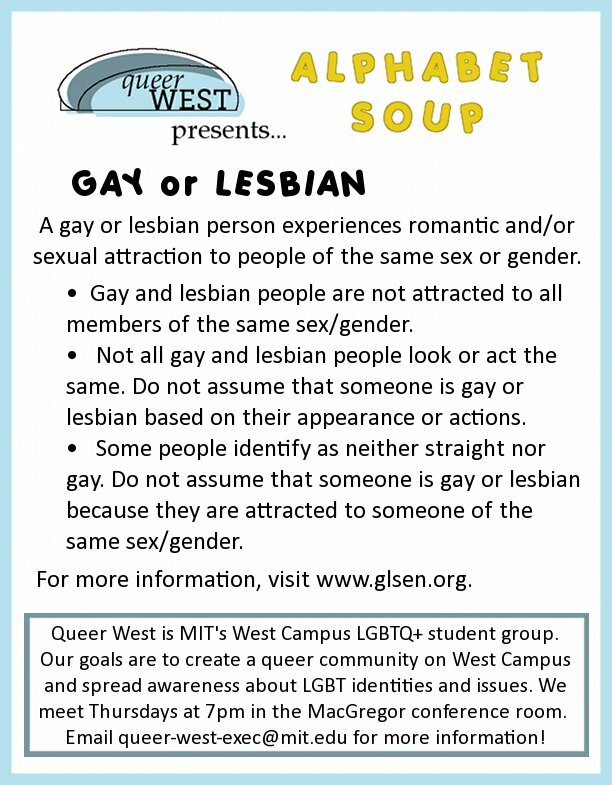 To contact the Queer West executive board, email queer-west-exec[at]mit[dot]edu. 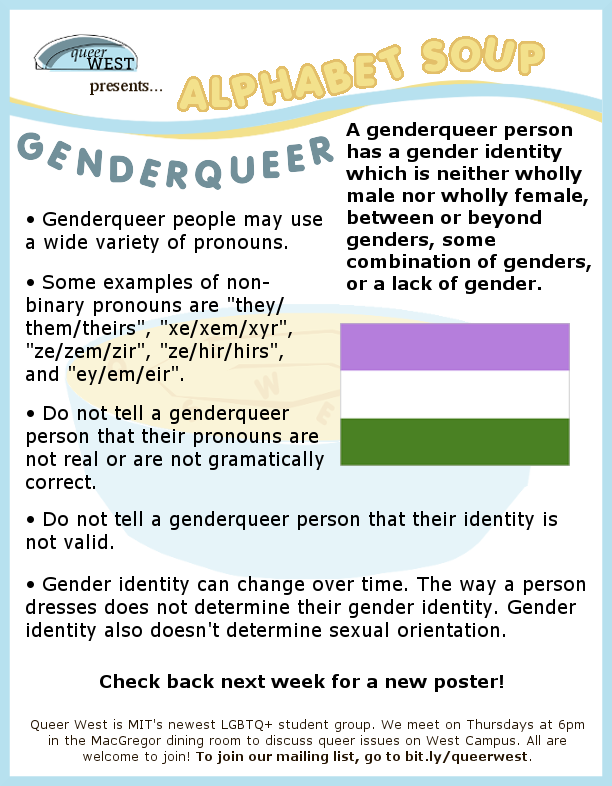 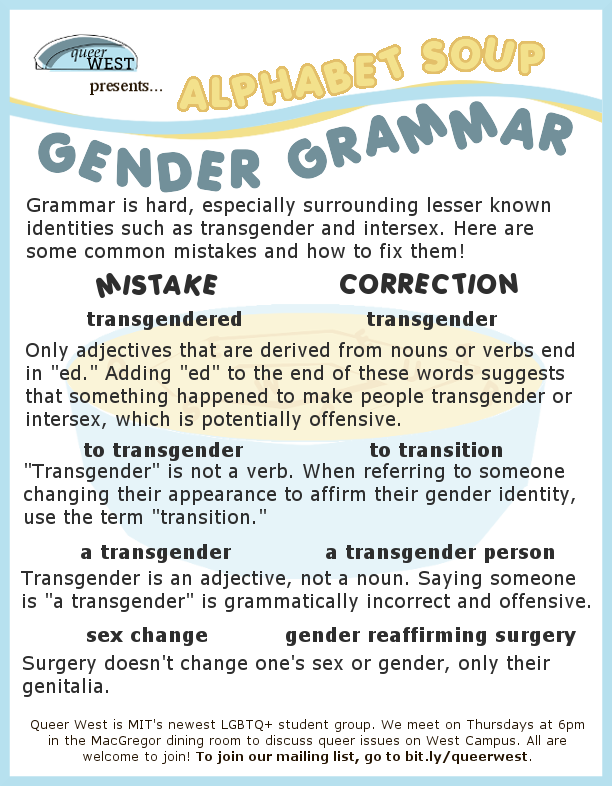 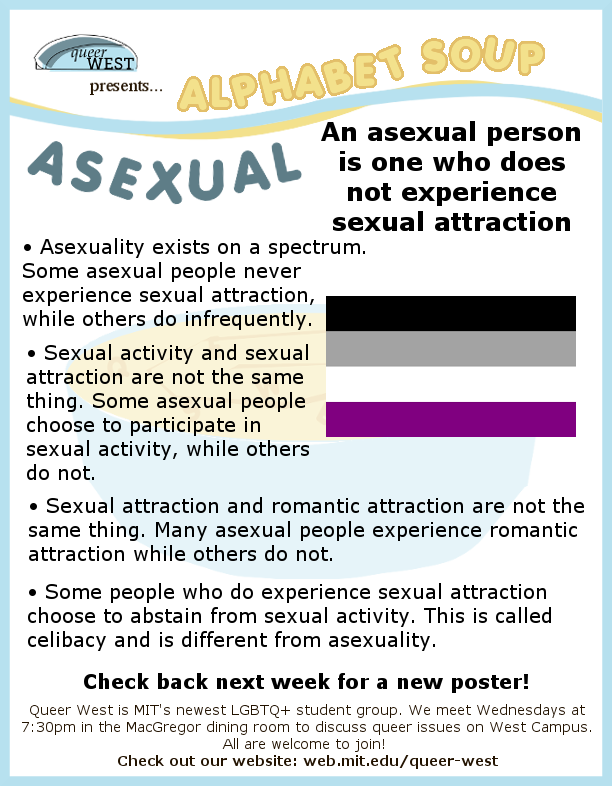 Alphabet Soup is an educational poster series run by Queer West in 2014 and 2015. 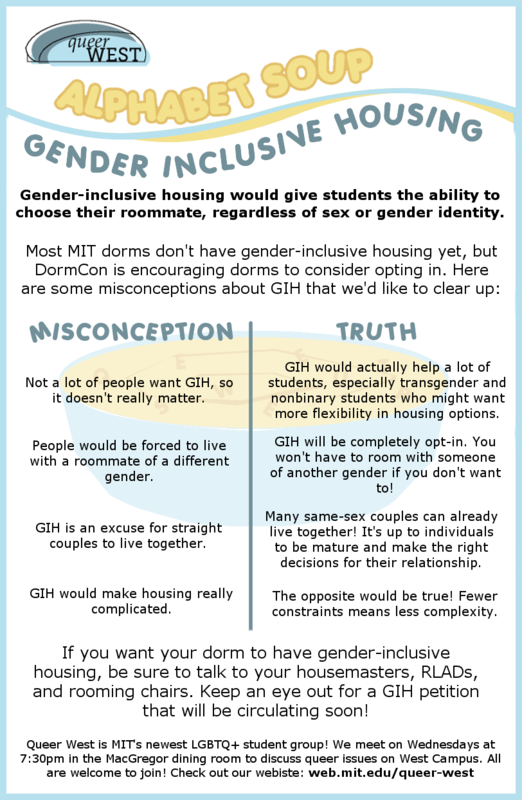 We created posters featuring various identities and issues in the queer community in order to educate MIT students and dispel negative rumors or stereotypes.